Urban Vacation Homes®️ was founded in 2012 as a small boutique vacation rental management company based in Boston, MA. Our team is small, dedicated and works diligently to provide exceptional service to both travelers and vacation rental homeowners. Urban Vacation Homes℠ is proud to offer properties in Boston, MA, Cambridge, MA, Wilton Manors, FL, Fort Lauderdale, FL and Vieques, PR. Business built on a handshake. 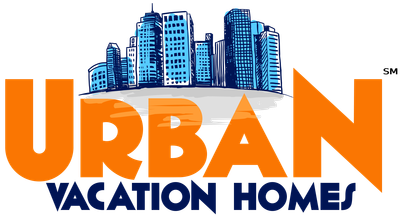 We started Urban Vacation Homes ®️ to provide homeowners with a property management solution tailored specifically for the vacation rental market. Our business is built on the value of a handshake, honesty, and integrity. We take great pride in our business and value each and every client as if they were a member of our family. That is our promise to you. Urban Vacation Homes ®️ is a small dedicated team. We are not a large nationwide company trying to manage every vacation rental property in the country. We select properties with the intention to build a long term partnership with the homeowner and look forward to receiving each and every guest. At Urban Vacation Homes ®️ we believe each and every client deserves the best. Whether we are managing a $4 million dollar intercostal estate, a multi-family brownstone or a small 600 sq ft apartment; our Boston, Fort Lauderdale, and Puerto Rico family of property managers will work to maximize occupancy and generate the highest return for your investment property.